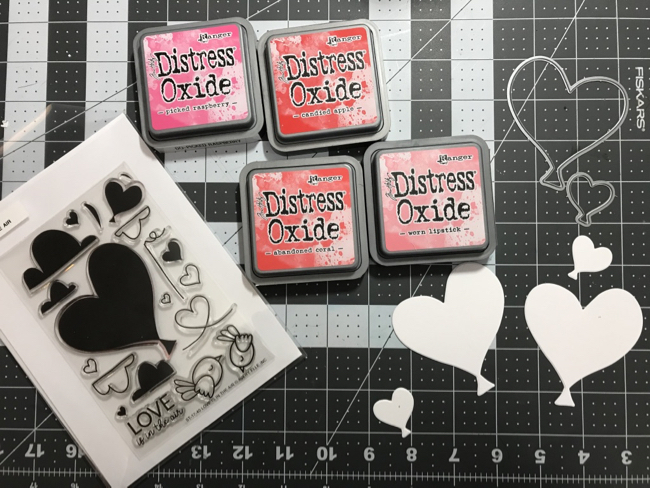 Katie here with a tip for getting more use out of your dies. 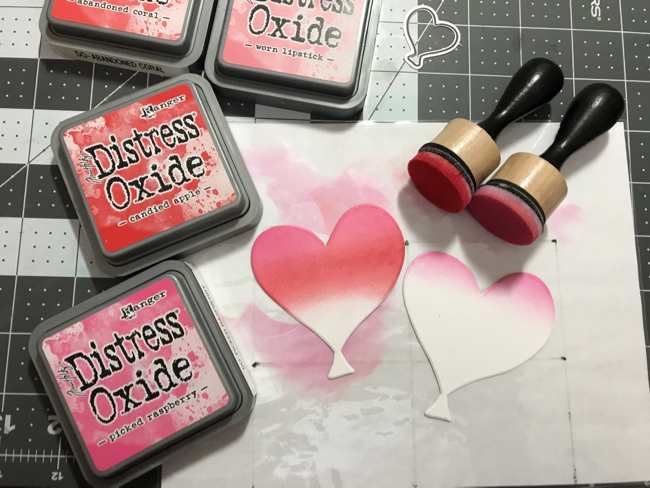 We all know that stamps and dies go great together, but coordinating dies can stand on their own too! 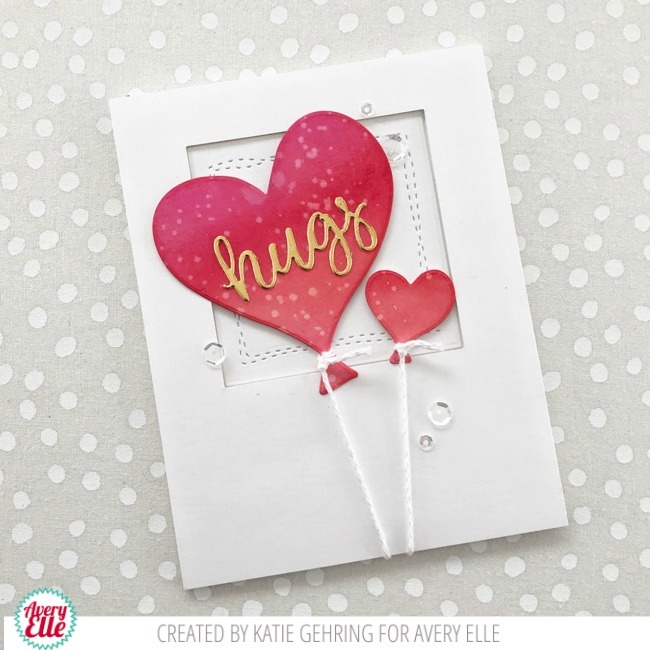 I am using the heart balloon Elle-ments dies which coordinate with the Love is in the Air stamp set to create a card that's perfect for Valentine's Day. 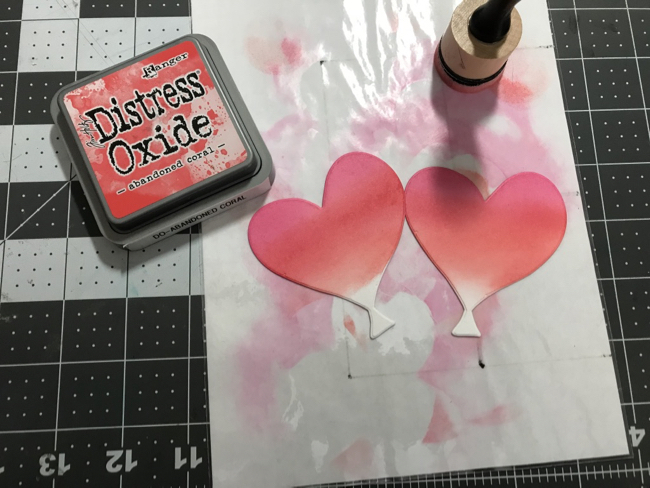 To start, I cut the heart balloons from a panel of watercolor card stock and pulled out some Distress Oxide inks in shades of red, pink and coral. Using an ink blending tool, I added ink to the balloons creating a blended ombre effect on each balloon. Once the inking was complete, I spritzed the balloon die cuts with water to lift some of the ink pigment and create this lovely spotted effect. To create the card, I die cut a panel of white card stock with the Wonky Squares die and attached it to a white note card with foam tape. In the negative space left by the square die cut, I adhered the wonky square. I adhered the balloon die cuts over top of the Wonky Stitched Square with foam tape. The hugs die is also from the Wonky Stitched Squares die set. I tied white string to the balloons and added a few clear sequins for a finishing touch. That's it for me today, but I hope this tip gives some inspiration to use explore stand-alone uses for your coordinating dies. I love this! The gold 'hugs' is just right! Thanks for the inspiration!